Maybe it’s Polaris Nailguns & Spa and they’re properly using the apostrophe to show omission. 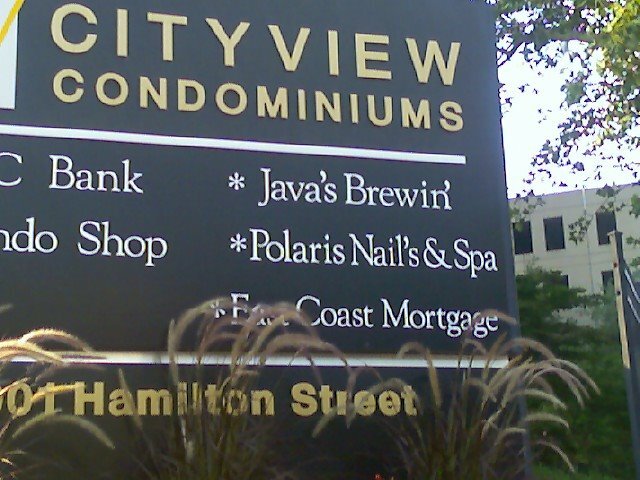 Or perhaps Polaris saw that Java’s Brewin’ had two apostrophes and wanted to fit in. “Java’s Brewin'” — does it mean “Java is Brewin'” or is the place owned by Java? I’ll bet bagels to shekels that the proprietor of the establishment is a Mr. Polari.